Finally, Uttar Pradesh Chief Minister had to broom the Taj to send a message that the monument was beyond any controversy. A controversy which he himself in part started when he said that foreign dignitaries now get a copy of the Gita instead of that Mughal monument called the Taj. The insinuation was very clear: this was a Hindu government and therefore Muslim heritage should not form part of the Indian culture There is no argument that this is a Hindu government but it was completely lost to him that one need not show one’s Hinduness by demeaning and demonizing Islam and Muslims. But then what should one expect from a Yogi who infamously threatens to abduct Muslim women. So it was quite surprising to hear from him that we need not go into the origins of the Taj Mahal. It should suffice that ‘it’ is on ‘our’ land and that it should be taken care of. Why this sudden change of heart? I suspect this had something to do with the backlash that the Taj controversy generated among the diaspora and other cosmopolitan Hindus who have been supporting this government. An important part of the ideological underpinning of the Hindu Right has been that Muslims have been invaders and that a Hindu India should chart its own destiny independent of its Muslim past. This then lends to ominous campaigns against Muslims and Islam to the extent that anything and everything is blamed on Muslims. It is as if the only test for being a true Hindu is to berate Muslims. However, what they forget is that Muslims (sections of them, not the common-folk) have governed this land for centuries and thus have left their indelible imprint on the common-sense of Indians which is very hard to erase. Muslims got some new ideas but it is also important to remember that most of them ruled in accordance with the established hegemonic structures within Indian society. It is not surprising therefore that Brahmins continued to maintain their dominance and even Islam got divided along caste lines during the long period of Muslim rule. From culture to language, the Muslim presence is everywhere. If the Hindu Right really wants to erase the cultural memory of this land, let them first start by discontinuing the usage of Hindustan, which is Persian in origin. 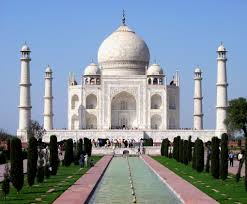 It is true that the Taj was worked upon by Indian labourers, that it is they who built the magnificent structure. It is also possible to look at the monument as an exercise in wasteful expenditure, like Aurangzeb did. But to simply criticise it because Muslims built it is nothing but silly. The Taj is a symbol of love since centuries. The Mughal discourse and subsequent history writing have made this object of love into the common-sense of Indian people. Hindus and Muslims both look up to it as the monument dedicated to love. It is not surprising therefore that there was backlash from within the Hindus which forced Yogi to pick up a broom and run to the service of Taj. That is called the triumph of hegemony and the Hindu Right will be advised to think hard before they renege on the pledge that UP Chief Minister gave while speaking on the Taj. But something tells me that they are not interested in doing so. Reimagining and constructing anew a nation’s past is no easy task and is fraught with dangers. The Hindu Right lacks an imagination which can re-write history. Bereft of heroes and ideological moorings, they can only fall back on third rate scholars like P N Oak for validation or with better luck can cite some colonial apologists in their favour. Within the field of history, no one takes them seriously. The Right wing can make all the efforts to change the truth: and probably they will succeed because truth and power are very closely related. But to change history is not easy. Even if the truth changes, history remains the same. Calling the Taj Mahal as Tejo Mahalaya and citing dubious historians as proof is nothing but an evidence of the Right Wing Hindu insecurity with Muslims. Hindus have built magnificent temples but rather than taking pride in them they are more concerned about snatching the Taj and declaring it as a Hindu monument. Why? Because these Hindus are competing with Muslims all the time. And that is the very basis of their insecurity. That despite their being a sympathetic government at the Centre, they still have to contend with a Muslim past; that India is still known as the land of Taj to the outside world. That despite all their haranguing about 1200 years of slavery, their favourite prime minister still hoists the flag at Red Fort which is again, a Muslim monument. Something tells me that we have not heard the last on the Taj. What the CM did has only helped temporarily. After all, he did not close the matter regarding the origins of Taj Mahal. What he did was simply to suspend the talk for a while. He came along with some other MLAs who gave sound-bytes to the effect that the Taj was actually a Shiv Mandir. The Yogi did nothing to repudiate such talks. His silence has bought some time But it will not be long before someone else from his party starts talking about the same nonsense all over again. Rightly said, we should cherish ‘the national culture of India’ which is Hindustani in body and spirit! Taj Mahal symbolises bond of eternal love. Humayun tomb built by Haji Begum precedes the building of Taj Mahal. Such trivial politics negates historical facts leading to a discourse of prejudice and hate!! Let’s not convert history to fantasy!! !